What does the Patch Master® do? Quickly and efficiently repairs cracks, potholes, water holes, and utility cuts like they never happened! 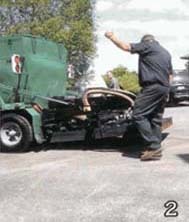 Conventional repair methods call for the cutting and removal of existing asphalt. 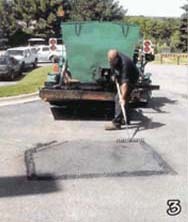 With the Patch Master®, we are able to heat and recycle existing asphalt in place. How does the Patch Master® work? 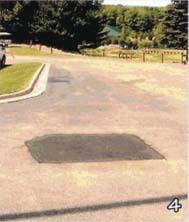 The process starts by heating existing asphalt with the Patch Master® radiant heat wall, adding new asphalt to bring the area back to grade, then rolling and compacting the repair area. This creates a seamless heat-welded permanent repair that is flush with the existing surface. Why is this better than conventional methods? By repairing the surface without cutting and removing asphalt, we eliminate weak seams and multiple height surfaces that will cause the repair to fail. 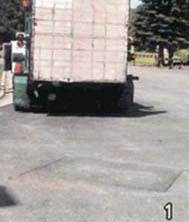 You will also save money by not hauling old asphalt away and use less new asphalt to complete the repair. We bring the heat! Where do you need us? 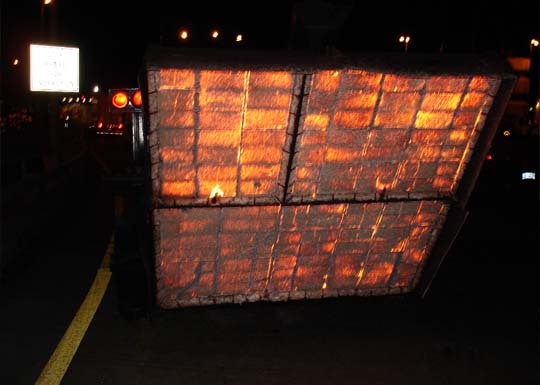 In addition to asphalt surface repair, the heat of the Patch Master® radiant heat wall has been utilized to soften existing asphalt surfaces that have bumps or unwanted texture so they can be rolled out to a more desirable surface. The Patch Master® heat also allows for year round repair that would be impossible with conventional methods. 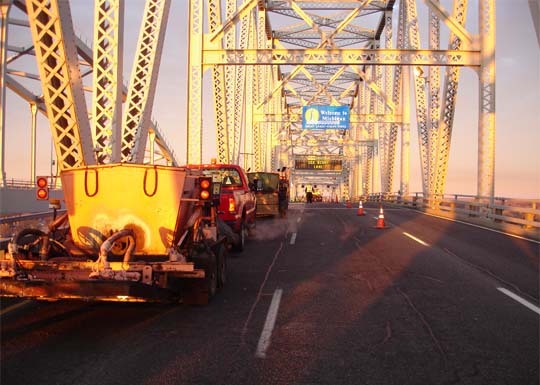 Why use Pavement Specialties, Inc.? We are the only company in Southeast Michigan with 3 Patch Master® machines and trained crews. Company president, Martin O’Connor and foreman Philip O’Connor have over 40 years of experience with the operation, maintenance and training of the Patch Master® system. Let Martin, Philip and their skilled crew put their experience and skill to work for you! The Patch Master Heat! The Luminous wall, 100% radiant heat. The Patch Master Crew repairing a utility cut in a parking lot. Failed Utility Cut. Low area holding water. Luminous Wall lowered into place. We are ready to recycle! A job well done. No joints or seams. Repair completed and back open for traffic. 18 min. start to finish.